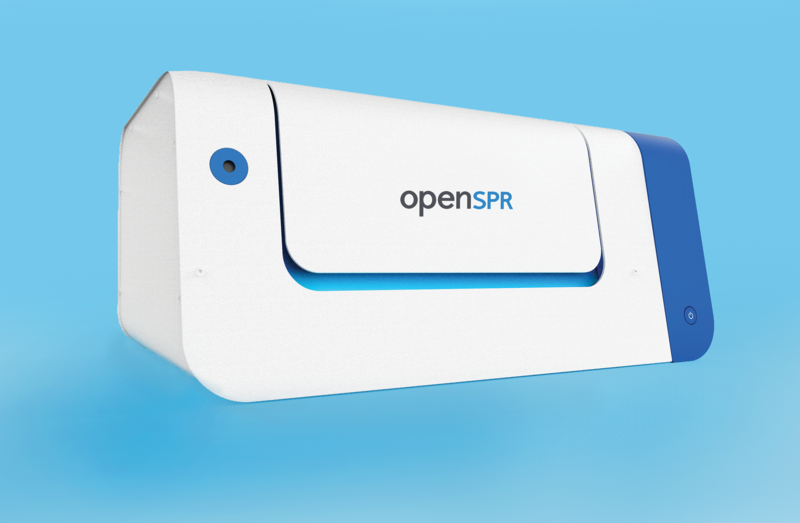 OpenSPR, the world’s first benchtop SPR, has helped hundreds of scientists accelerate their research and make their next big discovery. With the launch of the new 2-channel OpenSPR, scientists can now get higher throughput and higher quality data in the same affordable, benchtop instrument. Whether you are publishing in the world’s top scientific journal, writing a million dollar grant, or getting your therapeutic compound to market, the new 2-channel OpenSPR will help you get there faster. Nicoya also introduced several automated features including sample injection, buffer selection, sensor chip loading, and more. All features were developed with the user in mind, making it even easier to run surface plasmon resonance (SPR) experiments and cutting experiment time in half. The new software wizard walks the user through each step of the SPR experiment, allowing scientists to get their data and results faster. The new technology also features built-in temperature control, allowing researchers to get higher stability and examine the impact of temperature on kinetics and affinity. It can also be upgraded to the OpenSPR-XT, allowing hundreds of samples to be analyzed with fully automated walk-away operation. The OpenSPR was perfected in order to reduce errors, improve time to result, minimize downtime, and enhance data quality while remaining affordable for everyone. See how the 2-channel OpenSPR can improve kinetic analysis of protein interactions in this application note. The new 2-channel OpenSPR instrument. During Boston’s annual Protein Society Symposium in July 2018, we were thrilled to announce the release of our new OpenSPR instrument. Following a three-day exhibition, the OpenSPR received positive feedback and attention from hundreds of curious researchers. At a private product launch event and contest, we gave away a free 2-channel OpenSPR to one of the many accomplished researchers in attendance. We know how competitive it can be for researchers to get funding. We also believe that all researchers should have access to SPR technology to help accelerate their research, so we decided to give one away to help contribute to someone’s next big discovery. 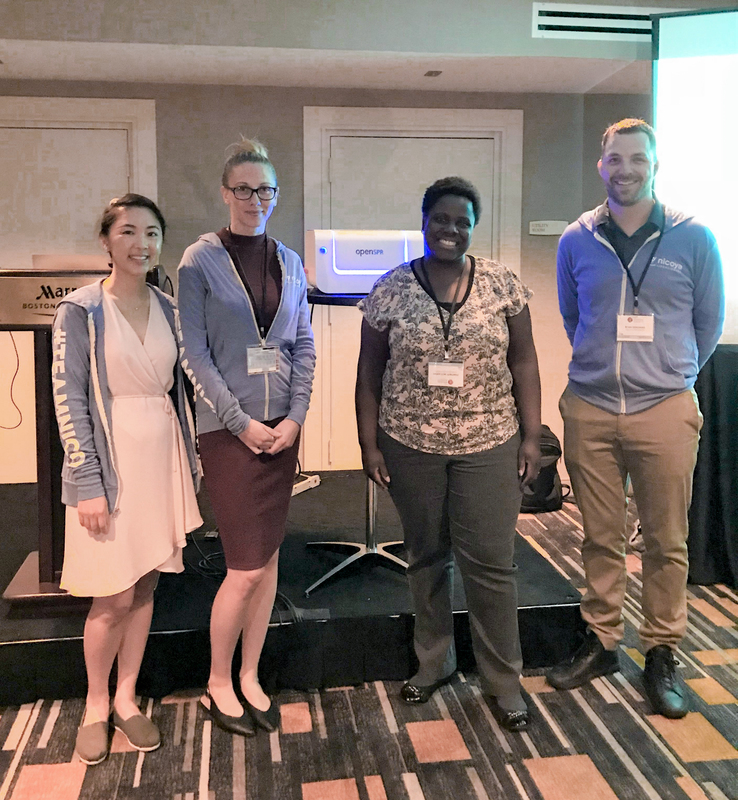 In an interview with our contest winner, Dr. Pumtiwitt McCarthy from Morgan State University, she shares how her new OpenSPR will accelerate her vaccine development research. 1. Which research techniques are you currently using for your vaccine development research? What are some pain points you have with these techniques that OpenSPR can solve? My research group investigates an enzyme that synthesizes polysaccharides in the capsule of Neisseria meningitidis. This bacterial pathogen is one of the leading global causes of bacterial meningitis. Our goal is to use this enzyme as a tool to improve development of glycoconjugate vaccines to prevent disease. In my laboratory we use techniques such as PCR, recombinant protein expression in bacteria, protein purification using FPLC chromatography, SDS-PAGE electrophoresis, and enzyme assays using absorbance, fluorescence and bioluminescence. We are investigating potential nucleotide donor sugar inhibitors of the Neisseria meningitidis serogroup W enzyme. Currently, we must react a potential inhibitor with the enzyme and only after a certain amount of reaction time and product characterization time (which can take many hours), are we able to determine whether the inhibitor had any effect. The OpenSPR will solve this problem in that we will be able to determine in a very quick manner whether there are binding interactions with the enzyme. We can move these compounds forward for further study. 2. What prevented you from having an SPR instrument in your lab? The cost has been prohibitive and as an Assistant Professor with less resources than more senior investigators I am on a tight budget. 3. How do you feel about winning an OpenSPR? I am ecstatic to say it mildly. It was an unexpected surprise that I feel will advance my research in so many ways. I am extremely humbled and thankful for being selected! 4. What excites you most about having an OpenSPR in your lab? This instrument will positively impact all aspects of my research program. Another line of my research seeks to optimize carbohydrates as a tool to remove heavy metals from polluted water. Heavy metal pollution is a problem to not just humans but also our environment. This instrument will allow us to build on our research in this area to investigate carbohydrate-metal binding interactions. Along with Dr. McCarthy, we were inspired to read about how the other OpenSPR contest participants would use OpenSPR to accelerate their research. In their submissions below, Elizabeth Draganova (Tufts University) and Kristina Streu (Boston University) highlight the importance and advantages of having accessible and innovative SPR technology. Nicoya strongly believes in creating an easily accessible experience for all current and future OpenSPR users. Book a remote web demo today to discuss your research application by running through an OpenSPR experiment from start to finish with one of our application scientists.